It was 2 P.M. on May 30 at the Hall of Culture in Helsinki, the capital of Finland. This was the first stop on the Scandinavian leg of Master's European lecture tour. As soon as the sun had traveled halfway across the sky, the quiet streets around Helsinki's Hall of Culture took on an unusual hustle and bustle. Huge crowds flocked to the venue. Many halted in their tracks as soon as they entered, their eyes captured by the magnificent display of Master's artworks, Celestial Clothes and Jewelry. Each one took his time to appreciate the exhibits, which conveyed in many different ways, the message of Truth, virtue, and beauty from a superlatively talented Enlightened Master. Truth aspirants soon filled the one thousand seats of the Hall of Culture, and greeted Master's arrival with thunderous applause. In Her lecture, Master spoke about the true meaning of freedom. "It's lucky that we live in a free country such as Finland," She said. "When we can use things in abundance, we feel free and very happy. Similarly, if we can make use of the blessings of God, which are inside us, we will be very, very happy. We will not have to pray for God's blessings, they will always be there automatically. And that's what I want to talk to you about: the freedom, the freedom that is not known on this planet unless we know God, unless we know the freedom inside." "This freedom is the greatest possession, the greatest merit, the greatest treasure that we can ever wish to have." "Every one of us can attain and have this freedom." Master explained that we will have a little taste of this freedom when we first become enlightened, but it will take some time before we can attain complete freedom. "It's just the limitless freedom of expansion that you can be anything you want, you can do anything you want, yet you still remain virtuous, you still remain in God's love, you still remain in perfection, yet, no one will ever be harmed, killed, or suppressed in any way by us obtaining our freedom." Master brought attention to the fact that She had no difficulty keeping a vegetarian diet during Her recent solitary travels through many countries. 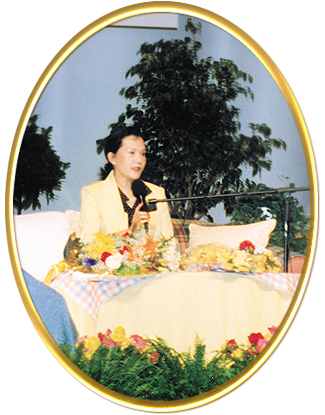 Therefore, She invited the people of Finland to join Her in becoming vegetarians and practicing the Quan Yin Method. Master received an overwhelming response from the audience during the question and answer session following the lecture. When inquiries were made one after another regarding initiation, Master asked those who were interested to leave the hall and fill out application forms. That caused a sudden commotion as people quickly moved toward the reception counter. 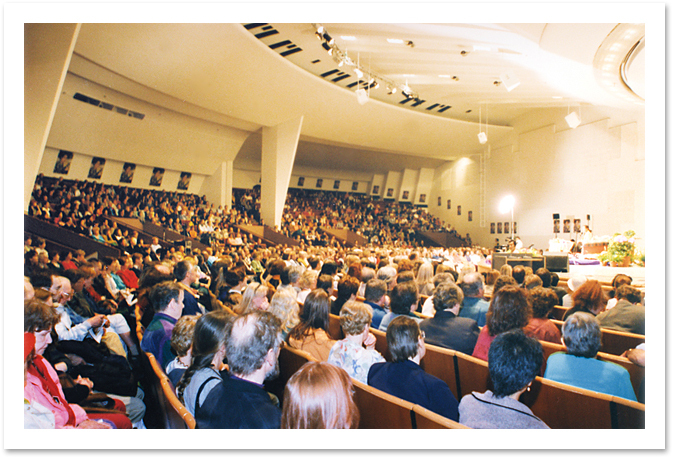 After the lecture, hundreds of people stayed to receive initiation into the Quan Yin Method or to learn the Convenient Method. It was past nine o'clock in the evening when the initiation ended, but in this country located in the high latitudes, the sky was still bright. And so on this bright evening, many newborn souls began their journey back to the heavenly kingdom!